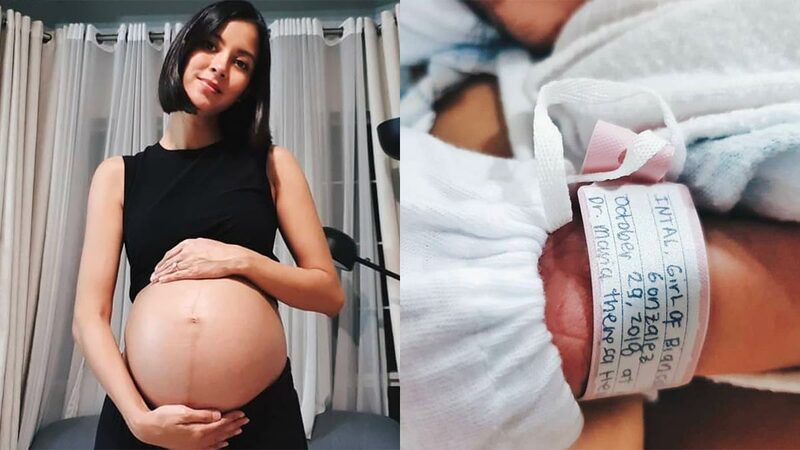 Bianca Gonzalez Just Gave Birth To Her Second Child! Headlines, hot news, and conversation starters on October 30, 2018! Bianca Gonzalez and husband JC Intal have welcomed their second child, a daughter named Carmen Eliana Gonzalez Intal! Bianca shared the happy news on Instagram, saying, "This little one decided to come out today." Carmen Eliana was born late last night, October 29. The couple also has a two-year-old daughter named Lucia. Regine Velasquez recently transferred to ABS-CBN after staying with GMA-7 for more than two decades. Regine posted a photo of her new show Idol Philippines on Instagram and addressed her bashers in the caption. She told them to stop insulting her and her family: "Lumipat lang po ako ng network hindi ako pumatay ng tao." Rico J. Puno's sister-in-law, concert producer Anna Puno, confirmed that the singer passed away today, October 30. In an Instagram post, she wrote: "I am seized with deep emotional shock when I found out that our OPM King—Kuya Rico J. Puno has passed away this morning (Manila time). Numbed with grief, I would like to call on all entertainers in the OPM Industry as well as his worldwide fans to stop for a moment and say a prayer to one of the most respected singers in the country." Nicki Minaj guested on a radio show to spill even more details about her infamous fight with Cardi B at this year's Harper's Bazaar party, which left Cardi B with a missing shoe and with a big bump on her forehead. She also hinted that Cardi B wasn't a "real" rapper. Princess Ayako married commoner Kei Moriya at Tokyo's Meiji Shrine on Monday, October 29. Ayako is the daughter of the emperor's cousin, and Kei works for a major shipping company called Nippon Yusen. Women who marry into the imperial family become members of the family, but those who marry commoners, like Ayako, have to leave. Kei Moriya said that he hoped to help Ayako adjust to a commoner's life. Congratulations to the happy couple!